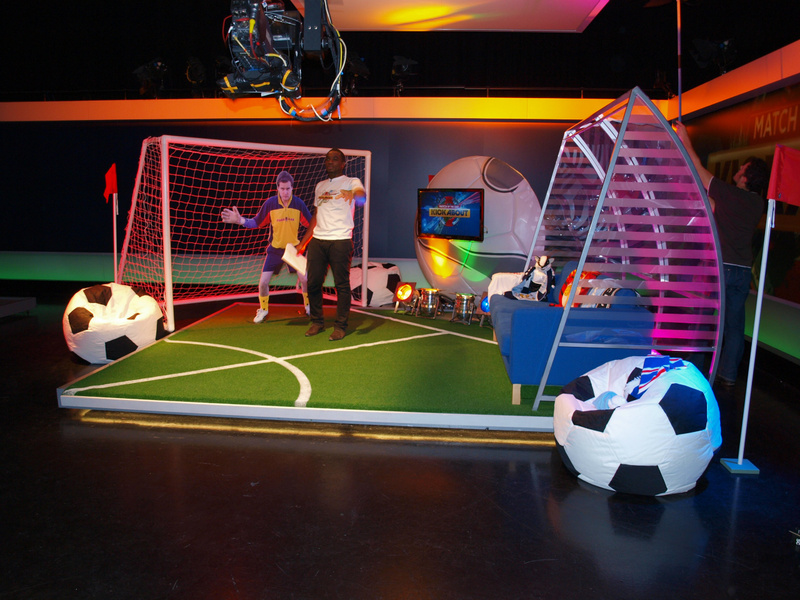 CBBC's Rhianne Kirkby produced this lively new show for kids football fans. 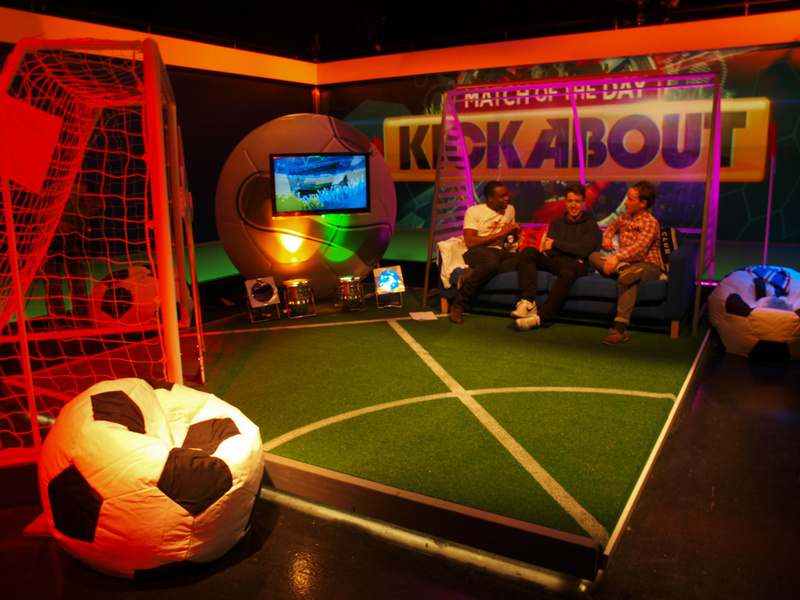 Utilising the existing Newsround video wall set I designed a slightly comic presentation set to pop in every Saturday morning for this brief show. A later smaller version appears today from BBC Salford.